More details have surfaced about Young Thug’s indictment, including conspiracy to murder. 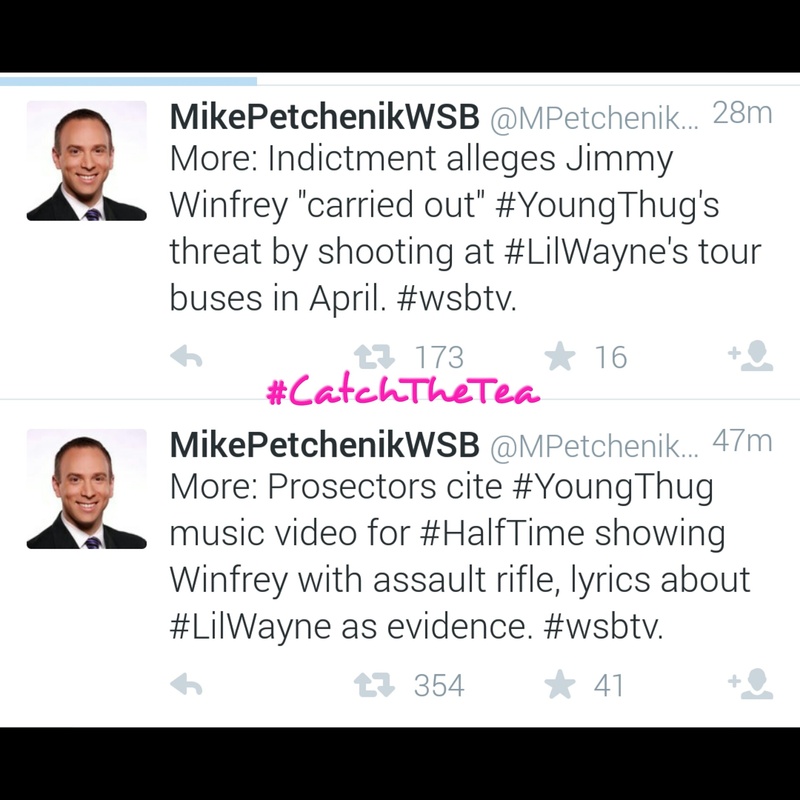 Back in April when YMCMB rapper Lil Wayne’s tour bus was shot up. Those stray bullets were meant to end Wayne’s life. 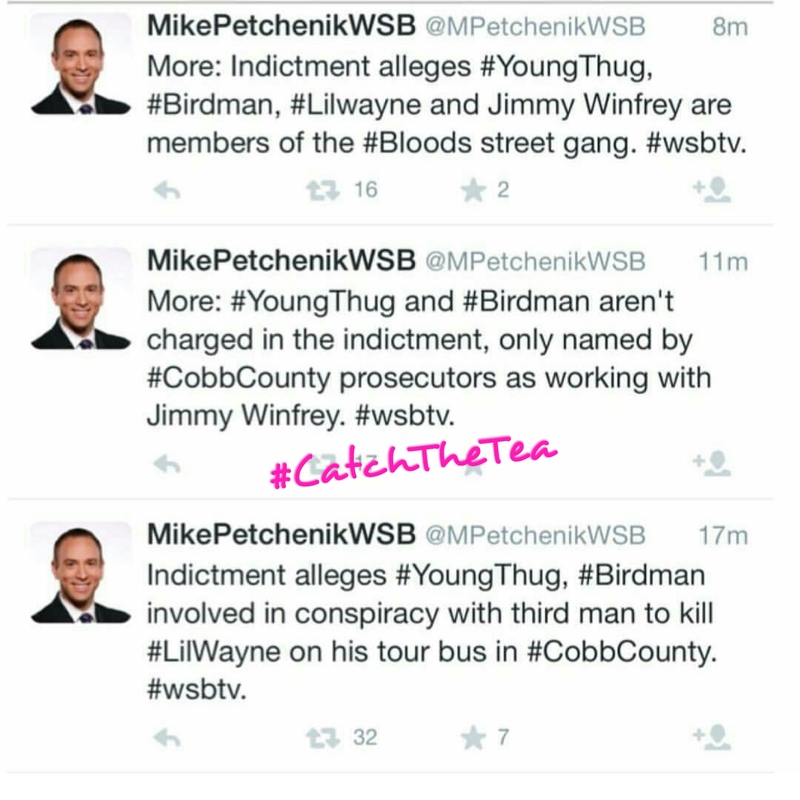 Jimmy Winfrey, Young Thug’s road manager who was arrested in May for the shooting , claims him, Young Thug, and Birdman conspired together to have Wayne murdered.Reports of these news has surfaced via WSBTV’s Mike Petchenik’s twitter. Is Wayne demanding to leave Cash Money Records that serious for Birdman to put a hit out on his once son? If so the differences between the two are well documented. If you have been paying attention, Young Thug came in the picture and sided with Birdman once Wayne announced he desired to leave Cash Money. The rift escalated when Young Thug and Wayne battled over the “Carter 6” mixtape title. And the list goes on and on.